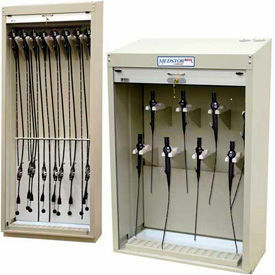 Harloff Scope Storage Cabinets are made to accommodate colonoscopies, EUS Scopes, TEE probes, bronchoscopes, and cystoscopies. 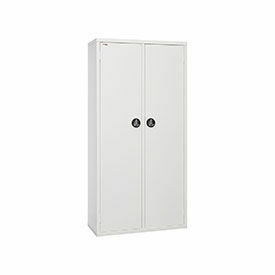 Harloff Scope Storage Cabinets are made of 18 gauge steel for long lasting durability. 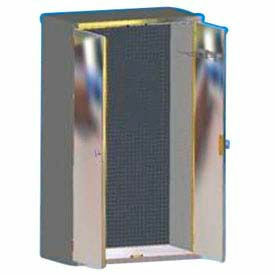 HEPA filter captures up to 99.97% of particles, 0.3 microns, exceeding AORN scope storage recommendations and providing sanitary conditions. Padded back prevents damage to scope optics and lockable tambour door helps protect and secure scopes, while providing easy access for authorized users. Removable drip tray included. 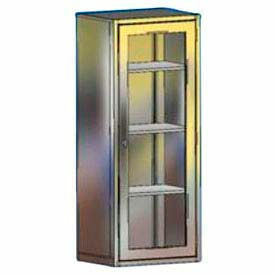 Available types include Cabinet w/Drying Package or Cabinet w/o Drying Package. Capacity is 8 or 16 Bronchoscopes. Available color finishes are Beige, Hammertone BLue, Hammertone Green, Light Gray, Navy Blue, Sand and Yellow. FireKing Medical Storage Cabinets Keeps Medications Safe and Secure in Hospitals, Medical Centers, and Health Care Facilities. 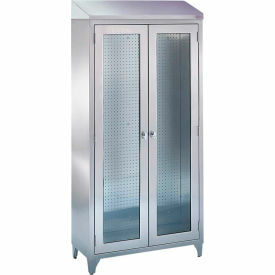 These storage cabinets have tamper-proof locking systems for total security of contents. 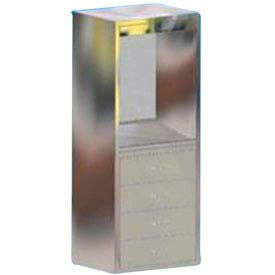 Available styles are Medical Storage Cabinet w/Digital Card Reader and Medical Storage Cabinet w/Key Lock. Key lock and digital card reader control both doors; digital card reader provides access control and audit tracking, and integrates with most employee scan card badge technology. 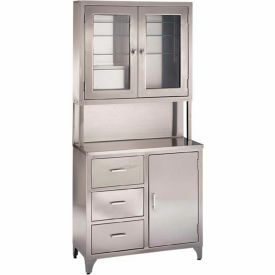 Cabinets are available with 1 or 4 shelves. Rail system holds writable, sealable colored bags that enhance HIPPA confidentiality. 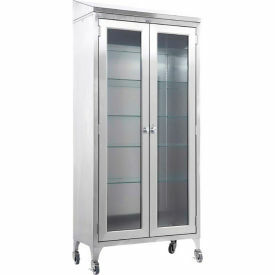 Cabinets can be customized into an "all-rail" or "all-shelf" system. 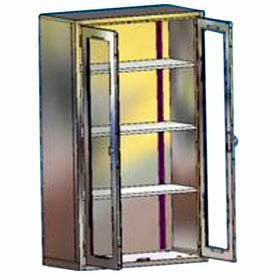 20-gauge steel construction is durable in medical environments. 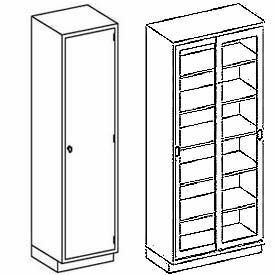 Includes alphabetical dividers, 2 rails, and 50 medication bags/logs. Color finish is white. Dimensions vary per model.